Hi everyone! This is GiGi from The Cricut Bug and I have a fun card to share. I used the Abigail-You're Fun stamp set for my card today. I stamped Abigail onto a mat I cut with the Rectangle Dies 2 and colored her with Copic Markers. To finish, I stamped the sentiment from the Love and Kindness stamp set, the arrows from the Sweet Travels, and added some Doodlebug Sprinkles. Make sure to come back tomorrow for the start of the February Release! 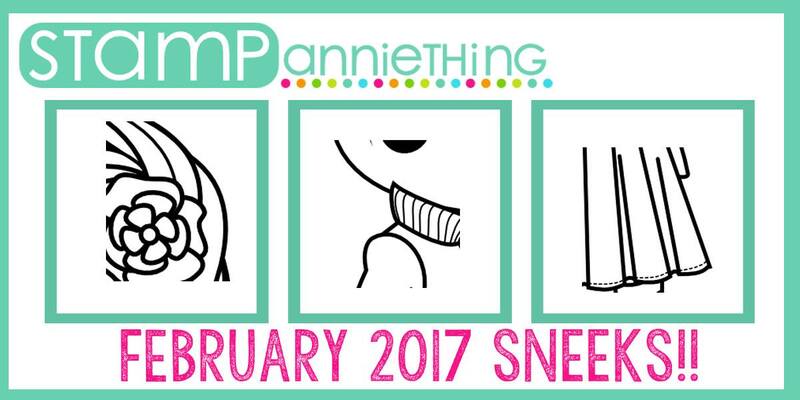 Sneak Peeks starts on Wednesday!!! Laura here to share my inspiration for Heart Theme Week! I thought this would make a sweet gift with some homemade cookies for someone special on Valentine's Day! 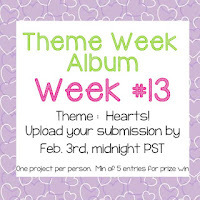 Have you started working on your entry for the Theme Week Challenge, yet?? There are only a few days left to enter! We would love for you to join us! use a Stamp Anniething Stamp as your main focal point. 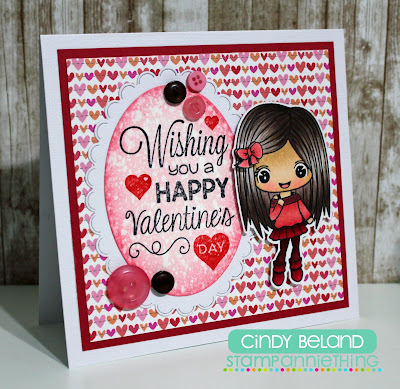 Share your creation at the Stamp Anniething Stampers Facebook Group by February 3. Enter your project in the Heart Theme Album, HERE. If we have five or more costumer entries to the challenge, a winner will be selected. The winner will receive a stamp from Stamp Anniething. Hello! 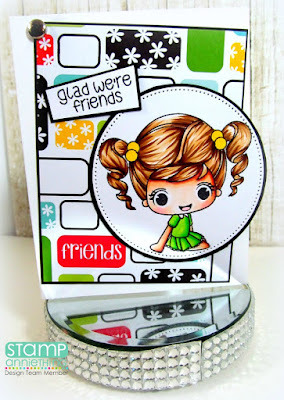 Welcome to Stamp Anniething's Theme Week Challenge #13. Members of our design team will have projects this week to inspire you. 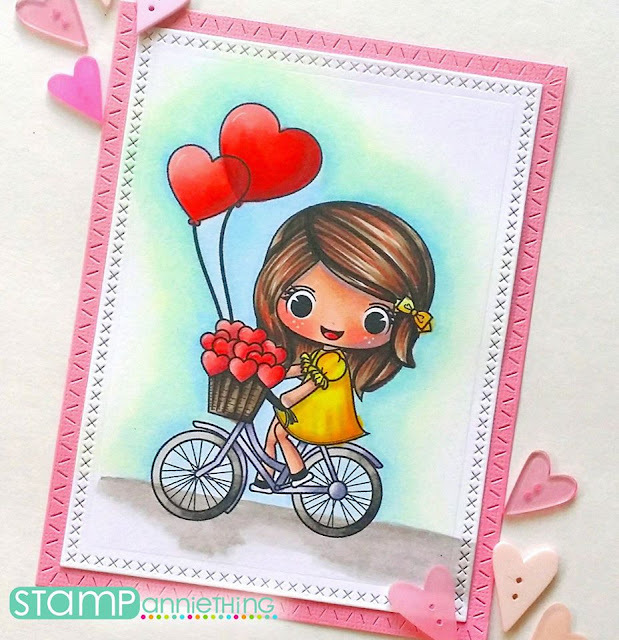 Share your creation at the Stamp Anniething Stampers Facebook Group by February 3. 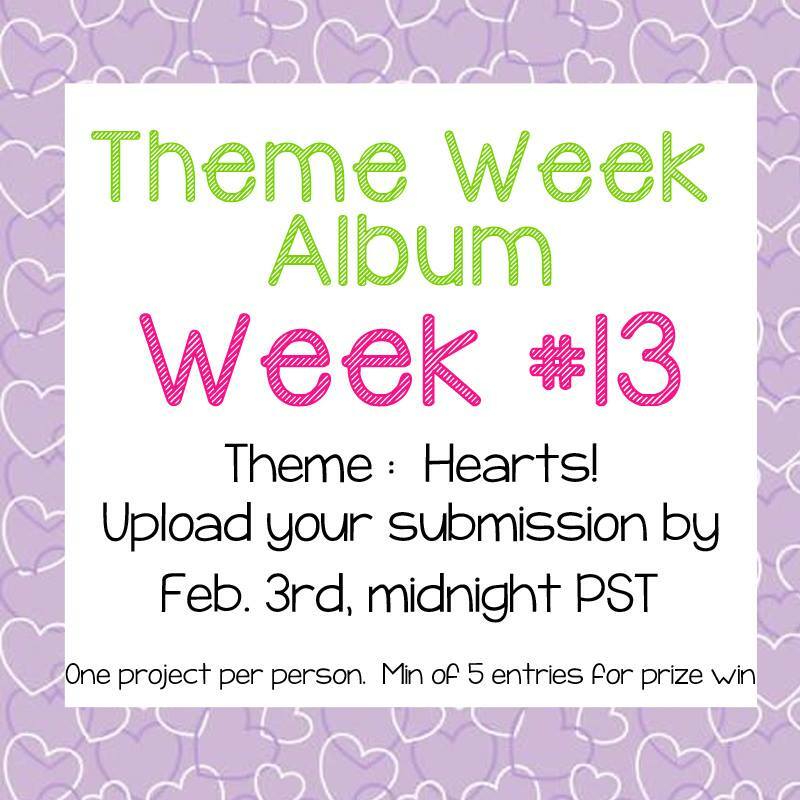 Add your project in the Hearts Album. We hope you enjoyed all the Theme Week Cards this week. Hope to see your card at the Theme Week Challenge. Labels: Theme Week Challenge , Trudy - Happy Day! First we have a card designed by Noe. She used Lorraine - Hello. Such a pretty card design with the heart print paper background and heart accents. Stop by her blog to see this cutie. We also have a new card from Annie! Annie colored Julie Enjoy the Ride and added hearts to the basket. 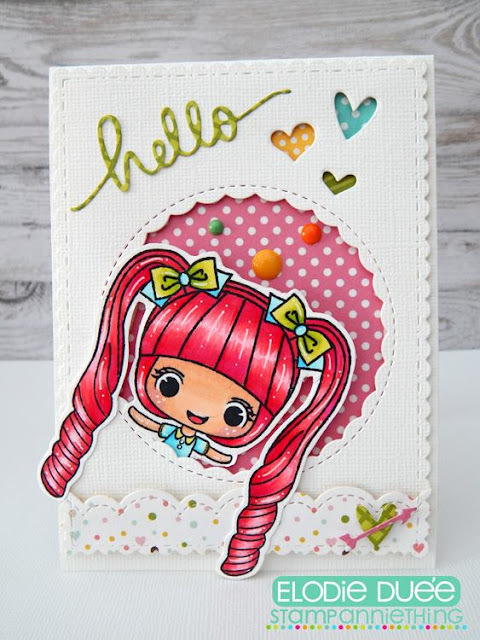 Stop by Annie's Blog to see more information about this cute card, HERE. Please stop by tomorrow for another Theme Week Project. Thanks for stopping by today! Hope to see you tomorrow, we will have another sample for the Theme Week Challenge. Hello! 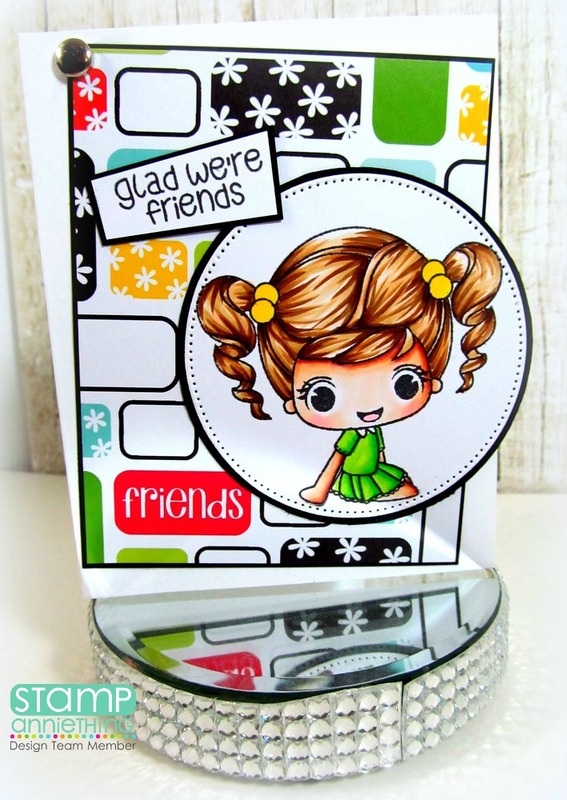 Welcome to Stamp Anniething's Theme Week Challenge #13. The challenge is a heart theme. Members of our design team will have projects this week to inspire you. 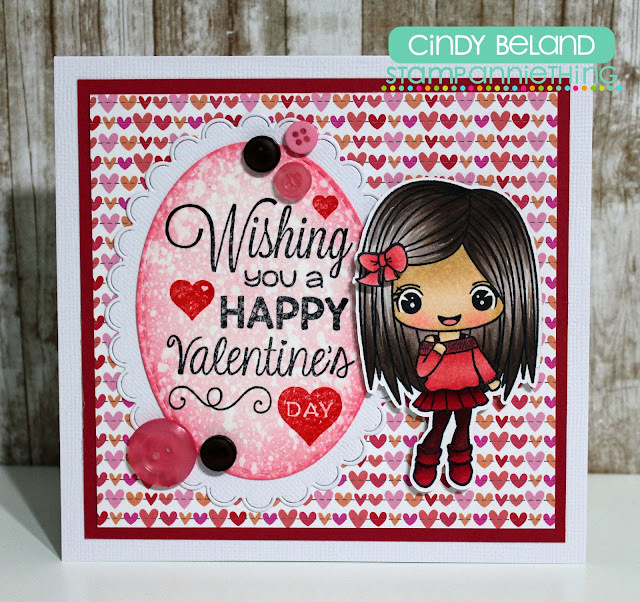 Today we have Rene from Simply Cute with a Theme Week idea. 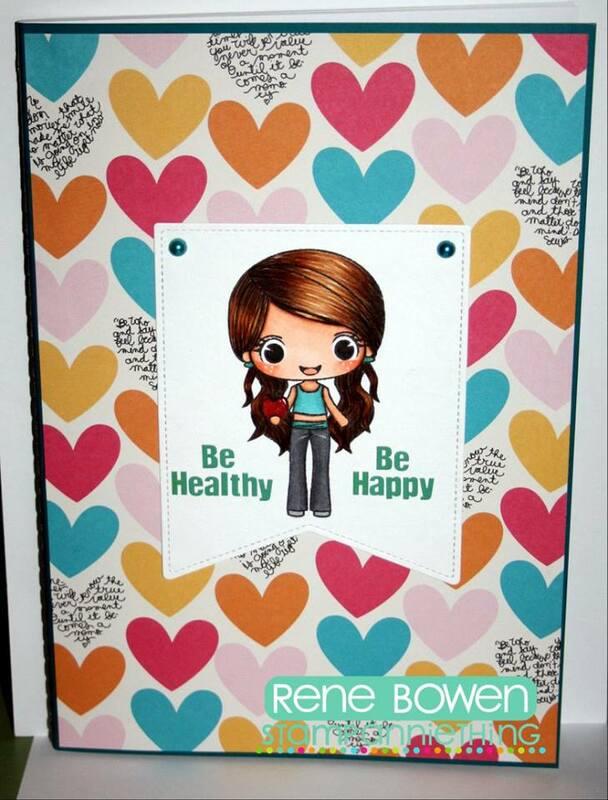 Rene selected a background paper with hearts on it for the challenge. The image is Felicity Be Healthy from our December 2016 release. To find out more about Rene's Card, head on over to her blog, HERE. Share your creation at the Stamp Anniething Stampers Facebook Group by February 3. If we have five or more costumer entries to the challenge, a winner will be selected. The winner will receive a stamp of their choice from Stamp Anniething. Up first is Candace from Candi O Designs. Here is the adorable card Candace made. She used the Chloe and Sam - Love You stamp. The heart dies make a perfect backdrop for this cute couple. Be sure to visit Candace's Blog for all the details. 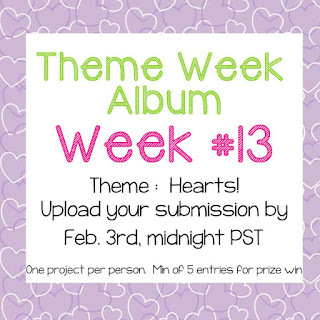 Join us tomorrow for another Heart Theme Week Challenge idea. Hello! Melissa from Doxie Mel Designs with you today with a new post. It has been colder that normal so I thought I would pick a "warm and toasty" stamp to color. She is Annie - Warm &Toasty stamp and I colored her with Copic Markers. There is a sentiment included with the girl stamp but I only stamped half of it. The cross stitched Dies are from Lawn Fawn. Hi crafters! 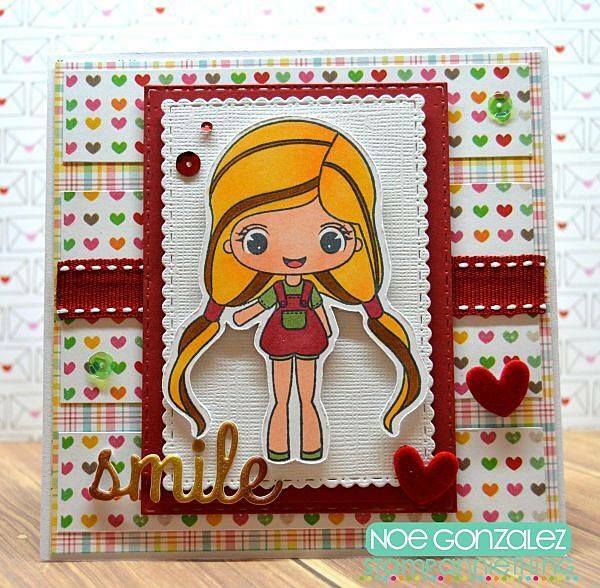 Monica here with my first official blog post for Stamp Annie Things stamps! I am so excited ot be apart of this amazing team of ladies and for my post today I am sharing Abigail - Glad Were Friends there is also Abigail-You're So Fun and A+ in My Book available in this line. 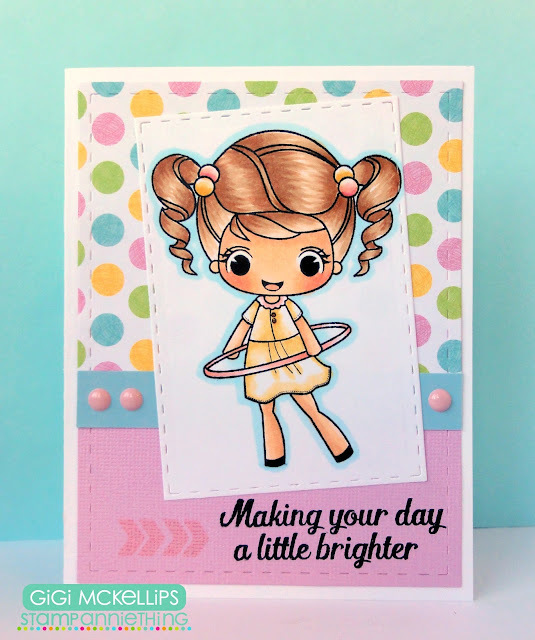 To make the card I used some patterned paper from The Stamps of Life and used a simle circle die to mat Ms. Abigail. I hope everyone enjoyed my post and thanks so much for stopping by!! Hi, everyone! Kevin here with my very first post for the Stamp AnnieThing blog, I am so excited! For today's project I have a super fun Valentine. I used Vanessa Cheese as my main girl. Check it out! I started by stamping Vanessa with Copic friendly ink and colored her in with some very traditional Valentine's Day colors. My skin markers are running a little low on ink so she looks a little pale today, but refills on on their way! 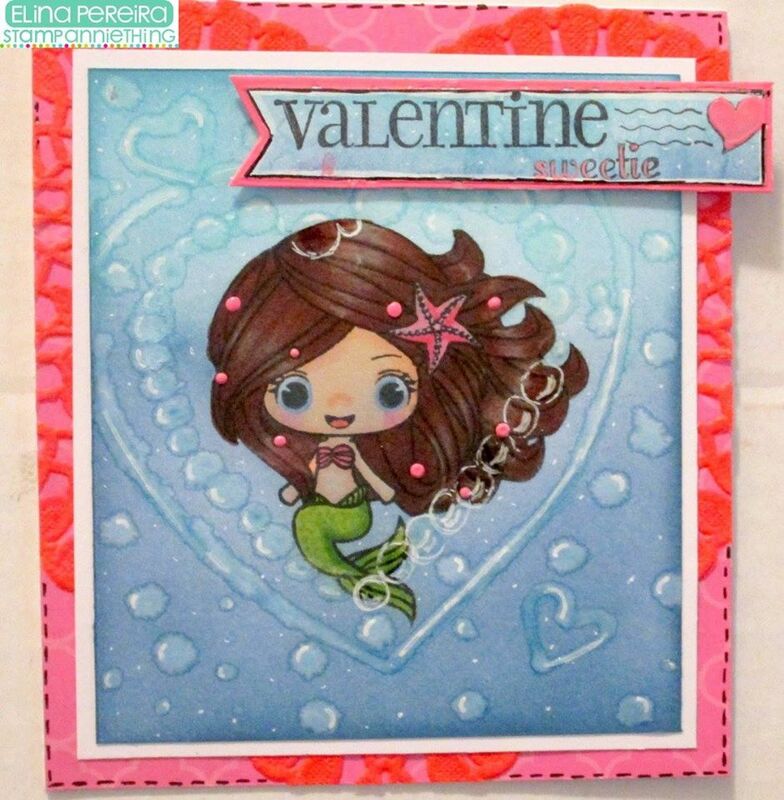 I fussy cut her out and popped her up on a vellum heart which I then layered onto a piece of patterned paper that covered the whole card base. I used pink ink to subtly include a sentiment. I added a strip of pink patterned paper that matched her outfit and added that behind her to finish it off. Thanks for stopping by and checking out my post! Have a great day! I used the Melanie-Need A Hug stamp set for my card today. 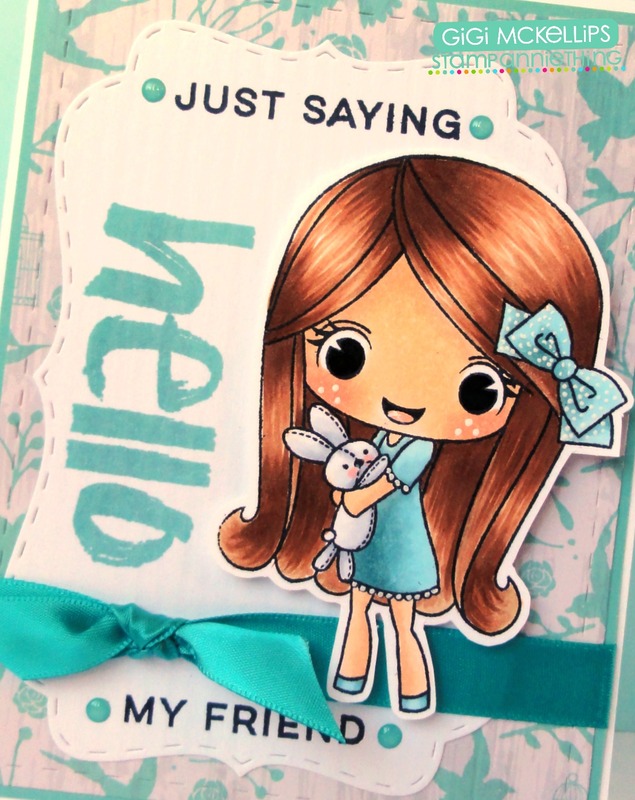 I added a mat piece cut with the Fancy Topper Die to the background and stamped the sentiments from the Happy Hello stamp set. I placed some Doodlebug Sprinkles to the sides of the sentiments and tied a ribbon on top. 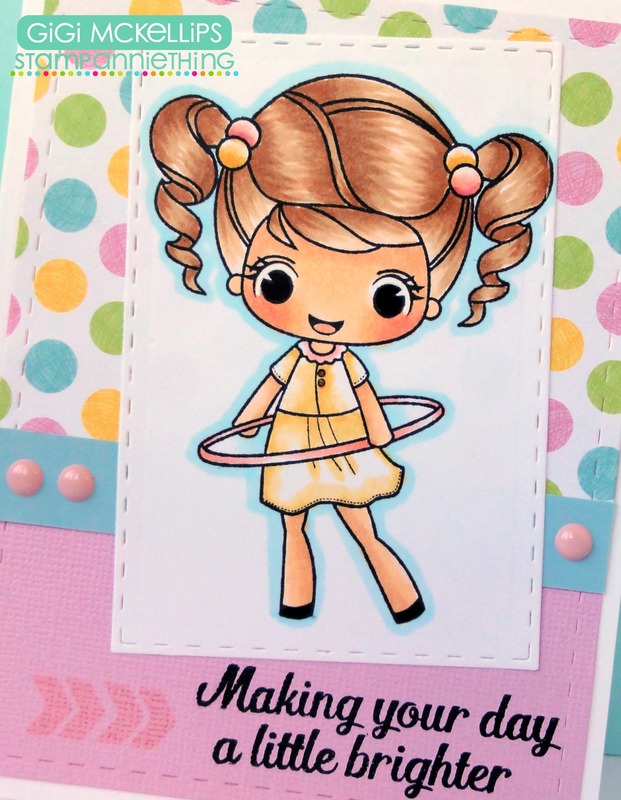 To finish, I stamped and colored Melanie with Copic Markers and pop dotted her to the card. at Stamp Anniething!!! I thought it would be fun to use Felicity because she is perfect to go with the new set of stamps that Jaded Blossom is Releasing today. SVG Cutting Files I used Fancy Label Card Base for the card base. January Release - Day #1 - Vanessa, CHEESE!